Community Health Center’s public relations team can get you what you need for your story, report or any other project requiring information on CHC or expert input. Please contact us if you wish to coordinate an interview, inquire about a news item or story idea or schedule a tour of one of our 14 centers. CHC’s leaders can speak on healthcare, health policy and a range of medical, dental and behavioral health topics. Our providers and program directors also offer a wealth of expertise. U.S. 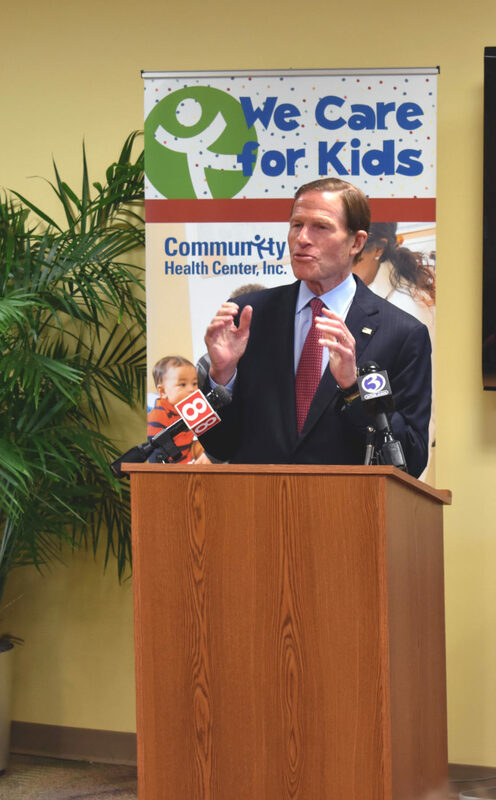 Senator Richard Blumenthal holding a press conference at one of our sites.